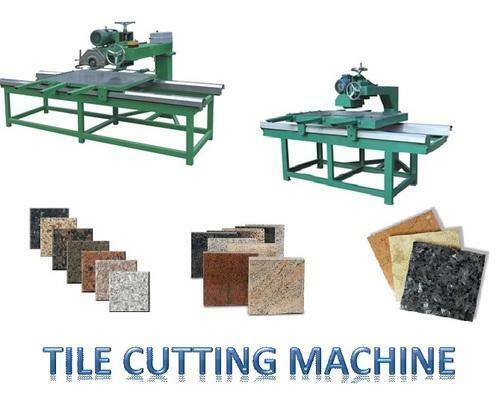 Leading Manufacturer of ceramic tile cutting machine, granite slab to tile cutting machine, marble slab to tile cutting machine, special bridge type tile cutting machine, granite/marble and kadappa stone tile cutting machine and site tile cutting machine for granite and marble from Coimbatore. The front-back, left-right, up-down of this machine can locate and be controlled by the microcomputer to work automatically. 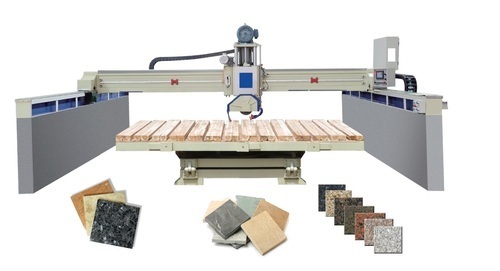 It is applicable to cutting the valuable and large stone board. It can rotate 45 degree. So rotation can be 360 degree. 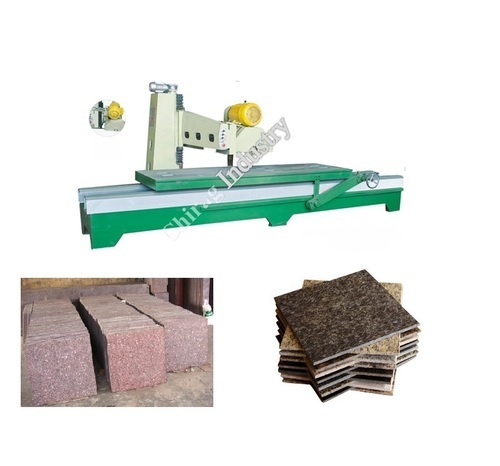 It is applicable to cutting the valuable and large stone board. It can rotate 45 degree. So rotation can be 360 degree. The front-back, left-right, up-down of this machine can locate and be controlled by the microcomputer to work automatically. 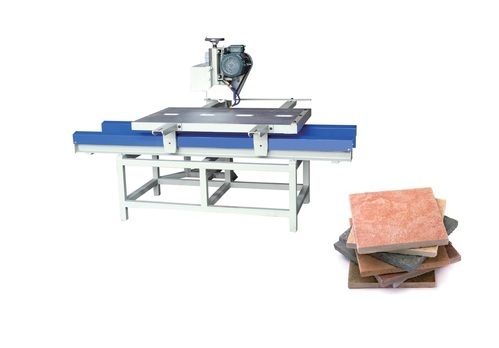 It is applicable to cutting the valuable and large stone board. It can rotate 45 degree. So rotation can be 360 degree. The workstation can also rotate 90 degree automatically. It can turn up to an angle of 85 degree. 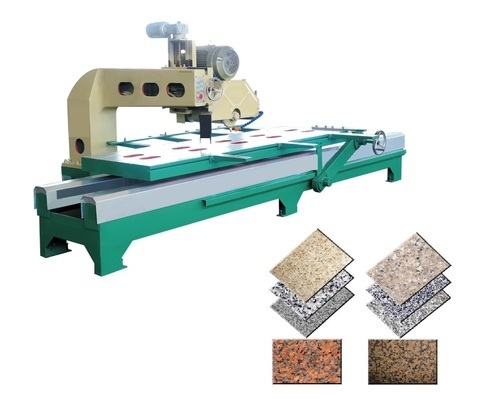 This machine is portable type, It Can do chamfer 45 degree. This is suitable for ceramic tile, Granite, Marble, Sand Stone and Lime Stone. This is portable type Tile Cutting Machine. Production effeciency is very high and suitable for all type of stone like Granite, Marble, Sand Stone, Lime Stone, Laterite Stone. This is alsouseful for Site Purpose. This is very suitable for cutting all type of tiles. This is portable type and suitable for Shops and Site. This technology is very high. We can use Granite, Marble, Ceramic, Laterite,Lime Stone, Sand Stone and kadappa Stone to cut into tiles. The foot rest of this machine uses the overall groove body with the novel structure and strong stability. The column and machine head can be freely moved up and down. It is applicable to cutting various specification boards with the long service life. 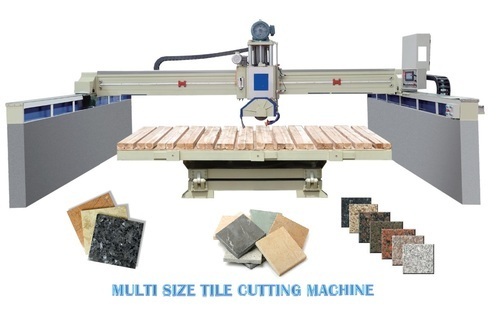 Looking for “Tile Cutting Machine”?